Is this a private residence? So pretty. I’ve heard of the Falling Water house and seen pictures of it before. I’m curious how loud the rushing water is from inside, though. That’s about as close as you can get to a waterfall! Very true. I will ask him when he gets back. Youâre right- it would be loud unless they used some kind of sound proof walls. 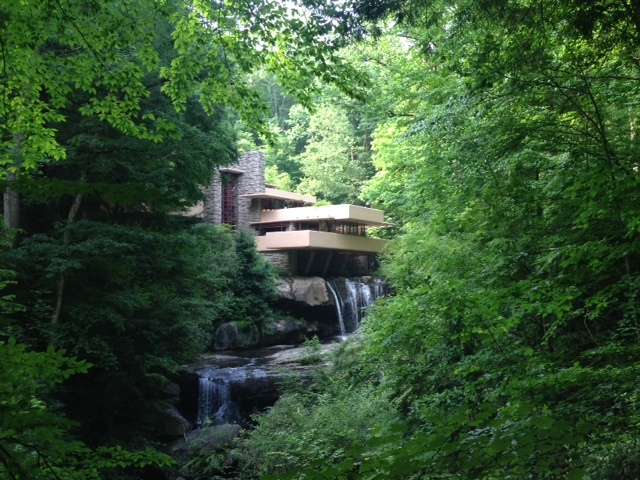 Falling Water – one of my favorite homes by my favorite architect. Beautiful photo! Thanks Trisha. I DO love it, too.